Snap! Orlando, the Southeast’s premier photography network, has joined forces with Red Bull in support of an innovative project. Fusing fine art and skilled athleticism, “Motion to Light” pairs established light painters, Vicki DaSilva and Patrick Rochon, with some of the world’s best athletes, Mike Dowdy, Adam Errington, Dallas Friday, and Chris Santacroce, in unprecedented partnership. The project pushes the existing boundaries of action sports photography, seeking to explore the artistry of athletic movement and emotion through the medium of light while capturing its essence on film. In a two part photography series, world renowned artists Vicki DaSilva and Patrick Rochon will “light paint” with Red Bull athletes as their collaborative brush. While every relevant moment is filmed, these accomplished and award-winning artists will direct Red Bull’s professional athletes in a spectacular choreography of light painting, resulting in fine art images with inimitable signature style. In the first series, wakeboarding phenoms Adam Errington, Dallas Friday, and Mike Dowdy will ride boards affixed with custom fabricated waterproof lighting. While Patrick Rochon captures the proceedings in long exposure photographs, the athletes will interpret his composition. In the second series, paragliding champion Chris Santacroce’s paramotor will be equipped with lighting. While he paints the sky, Vicki DaSilva will paint the field below. The end result, following post-production, will be a series of large-scale light painting images slated for exhibition at Snap! Orlando on May 2-5, 2013. Fine art meets action sports in two videos highlighting the art of wakeboarding and paragliding in a behind the scenes look at the “Motion to Light” project. These videos can be found at redbullillume.com. will the photos be available to buy?!! wow… that was terrible. is there anything else we can do to make wakeboarding look like the gayest sport? this is so stupid…. 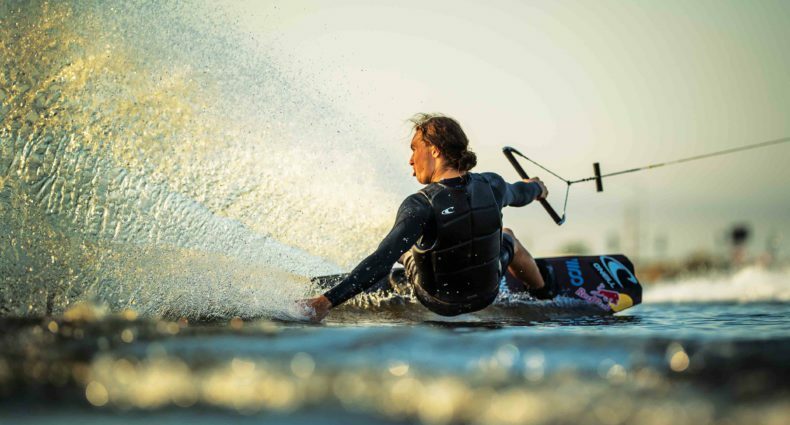 Red Bull, please quit ruining wakeboarding.